We believe the right product mix is key to a successful program. When we install a machine in a new location, we set it up with products that are a good fit for your company. Ultimately, your employees will determine what they prefer. We’ll make sure to keep your most popular items in plentiful supply and suggest alternatives to ones that aren’t being chosen. Let our route drivers know if you have specific requests, or you can contact us to include it in your next scheduled delivery. We’re always happy to accommodate you! We regularly service and perform preventive maintenance on our equipment. Our bright new equipment is perfect for displaying a large selection of appetizing food, snacks, and beverages. Our equipment offers outstanding reliability, ease of use, and consistent quality. Our machines are stocked at a level that keeps the selection of products at its freshest. 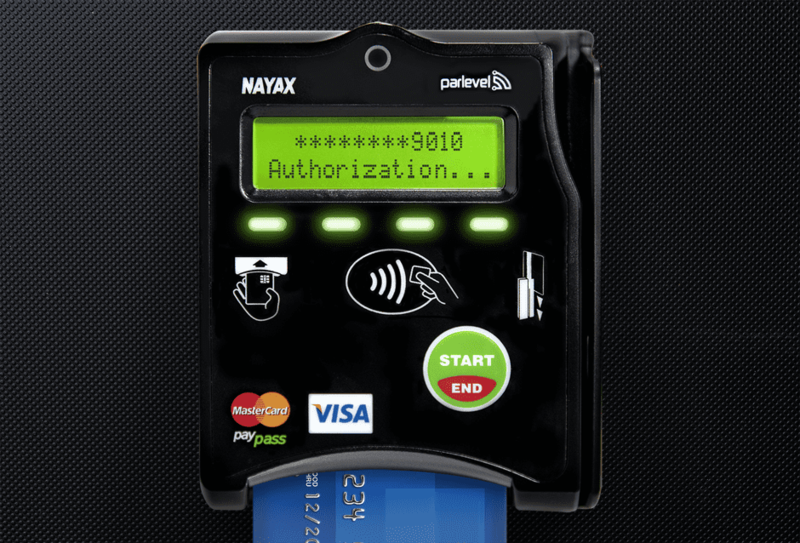 Technological advances in the vending industry have made Cashless (credit/debit/mobile wallet) purchases the new normal with International Blends. Other innovations include ‘Guaranteed Delivery’ of products (alleviate product hang ups), telemetric communication to alert us of low product levels, cash and coin acceptance issues, and many other valuable alerts. Our continual commitment to invest in new technologies and the most reliable machines on the market enables us as your vending company to keep machines clean, filled and working at the highest success rate possible. All of which leads to an overall level of higher satisfaction for your staff, clients, and customers. Our vending equipment is modern, bright, sleek, and is a welcome addition to any break room or cafeteria. They are stocked with the widest range of snack products that are sure to keep your employees satisfied all day long. Our uncompromising commitment to service ensures that they are regularly cleaned and operate efficiently, resulting in a refreshingly high level of customer satisfaction. All name brand carbonated soft drinks in 12oz cans or 20oz bottles. Juice, Tea, blended fruit drinks, and a variety of waters. Chips, pastries, candy, soups, crackers, and low carb items. Burritos, pizzas, milk, yogurt, and sandwiches. Freshly-brewed coffee and hot specialty drinks. Your favorites are always within reach. Offer healthful foods like yogurt, bars, fruits and vegetables, healthy snack bars, juices, and water. We offer accessories which let you design your own display of healthful foods. 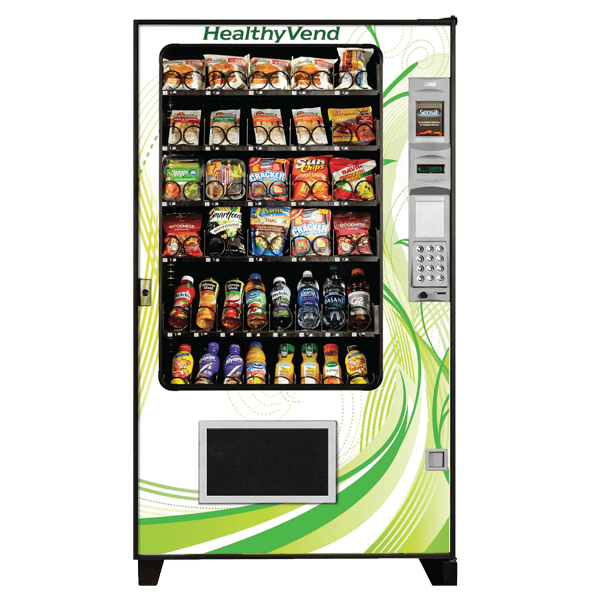 HealthyVend, just like our other vendors comes in two widths: 35″ and 39″ and offers AMS’ patented Sensit® guaranteed delivery. HealthyVend is compliant with health and safety software regulations.